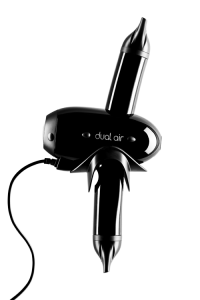 Dual Air – in collaboration with world class engineers from Norway – has invented a completely new ergonomic design that makes blow-drying an enjoyable part of professional hairdresser’s daily business. 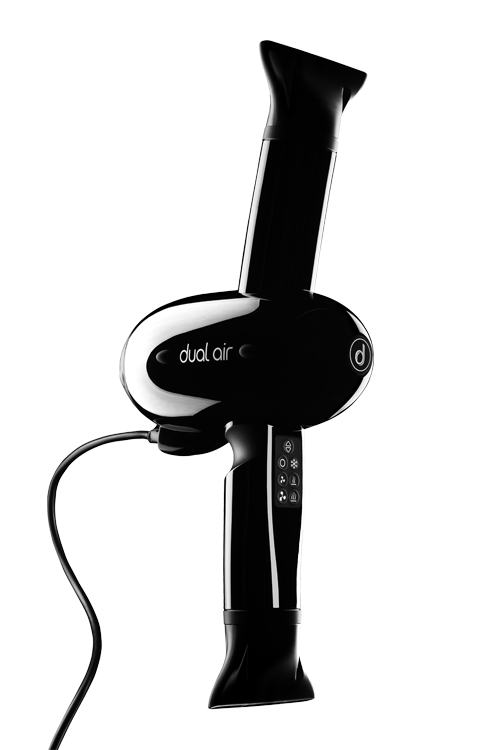 The ground breaking technology with two directional airflow and the balanced grip of the handle give hairdressers the possibility to move freely around their clients. The intuitive touch pad supports the continuous workflow.Dual Air’s high tech masterpiece is unique and has been patented worldwide. The long life AC motor with it’s optimized ionized drying technology guarantees an even heating, lower power consumption and a brilliant result.